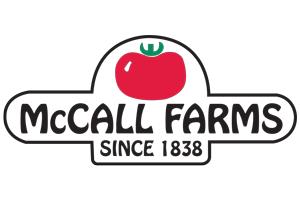 FLORENCE, S.C. – McCall Farms has been a staple of Florence County’s economy for more than a century and will remain so with a $23 million investment that will ramp production and create hundreds of new jobs by 2020. Although officials with McCall Farms were not immediately available for comment, Florence County Administrator K.G. “Rusty” Smith Jr. said the expansion will create about 150 jobs over the next four years. They’re an outstanding corporate citizen and have always provided job growth and economic enhancement throughout the county,” Smith said. Smith said his understanding of the project is that McCall Farms will build a facility in northern Florence County this year and two more in 2017 and 2019, respectively. He said each building could be about 150,000 square-feet and set in different parts of the county. County council approved Thursday a second reading of an ordinance that allows the county to enter into a tax agreement with McCall Farms to facilitate this project. Stay with the Morning News and SCNow.com for additional information about this expansion.